When working on qualifying sales during cold calls, lightly qualify first because we’re simply attempting to determine if it makes sense for everybody to keep investing their time in the conversation. Some examples of what to look at when asking light qualifying questions are general questions which identify if things are great, ok, or have room for improvement in the areas which your products have an impact. Following are a few categories of light qualifying questions which can be asked to help identify if it makes sense to keep talking. Identifying current state details when qualifying prospects such as current systems, processes or providers in the area where your products or services impact can be good. By identifying what the prospect is doing today, it will provide important information on if they’re a fit and/or if it even makes sense to talk to them. A prime example is if the prospect just signed a contract or invested in a system which competes with what you’re offering them, it typically wouldn’t make sense to invest your valuable time in a first conversation since they’re locked up right now. This could also be good because their answer might reveal that they have a big need for change because they’re using out dated systems or a manual process. Some great light qualifying questions to use when qualifying sales are rating questions because they can be utilized in getting the prospect to rate areas of current state on a scale from 1 to 10. These help in identifying if the things are great, ok or if there’s room for improvement. When things are great, it may not be a qualified prospect because typically there aren’t any reasons to make changes. Another area to try gathering information while qualifying prospects is attempting to identify any challenges, priorities and/or initiatives. It is very helpful when first trying to qualify the prospect to understand what is not working well and what is important to them. A great example is if challenges exist as well as priorities that don’t really apply in the areas you can help, it may not make sense to continue because your products and services will not be a priority on their list of items to spend money and time on. On the contrary, if you identify what isn’t working well, is important and fits well with what you’re offering, the prospect becomes more qualified. A great tool to use during cold calls to gather key information and create more conversation in the cold call is light qualifying questions. Because time is limited, only build your cold call script around two to four main questions when qualifying sales. 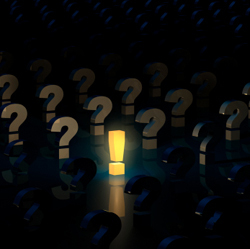 You can create deeper level questions for each light qualifying question, but when you have more than three or four main questions, it creates a call flow which has the potential to drag on from the prospect’s perspective. Also, it is important to ensure you have open-end qualifying questions during the qualifying sales process. When asking questions which can be answered with a “yes” or “no”, it creates a situation where the prospect answers with one word and we do most of the talking. By simply changing the qualifying questions so that they aren’t able to be answered with one word, it greatly improves our ability to gather more information and establish better conversations. SalesScripter provides sales training helping sales professionals with qualifying sales.